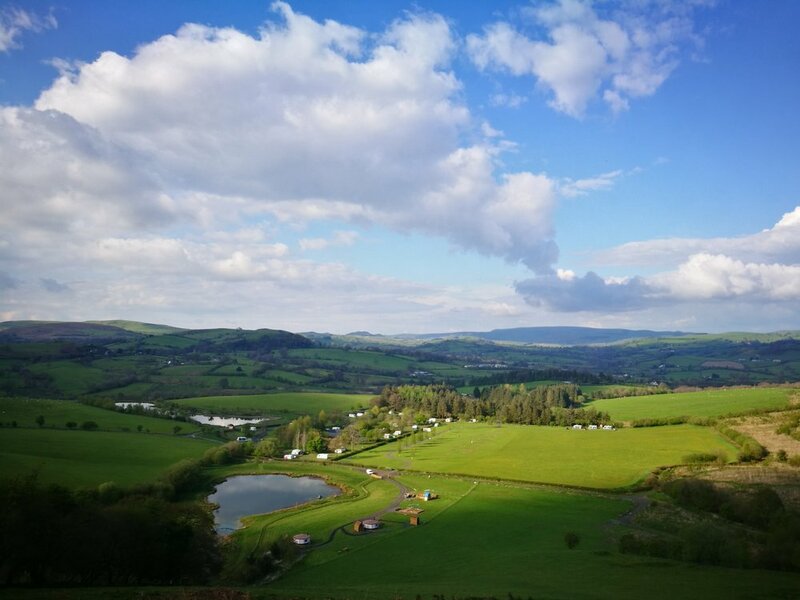 We are in the Heart of Wales, our two nearest towns are Llandrindod Wells and Builth Wells. 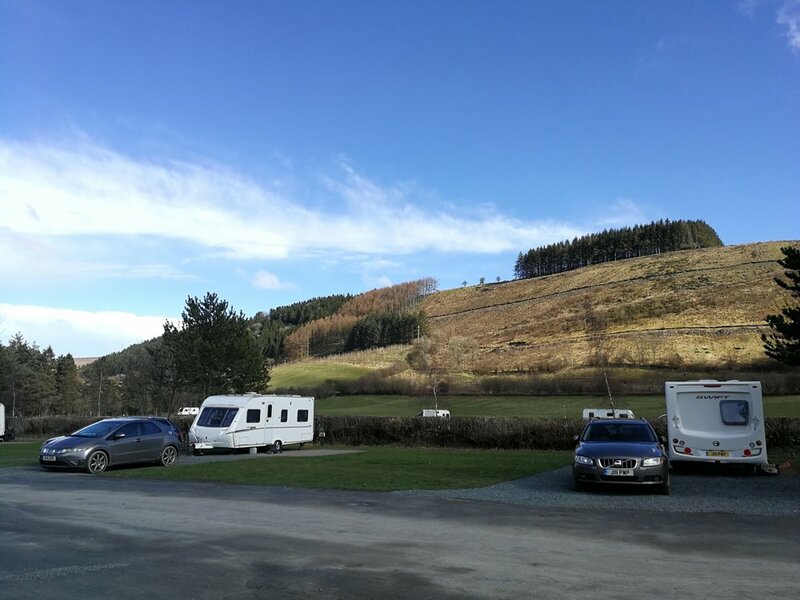 The campsite is in a rural location, and you'll feel a million miles away from your day to day while on site. There is a whole farm to explore directly from the campsite, yurts or cottage. With tracks and trials, a waterfall, beautiful woodland and places to build dens, sit quietly or play games. There are many interesting places to visit nearby. From small bustling towns to the magnificent dams of the Elan Valley. Find out how to get to Fforest Fields. Sound travels in the quiet of the outdoors and while you may think your conversation about sandwiches is hysterically funny (and it probably is), Daisy three tents down can't sleep and her dad sits up knowing that this means that tomorrow is going to be a write-off. Camping is wonderful for groups of friends and families to come together under a clear night sky and enjoy some drinks around a crackling fire. It's gutteral, deeply theraputic and simple good fun. But teamed with that we truly believe in the power of sleep, the quiet that decends across the campsite after 11pm is remarkable and rather beautiful. 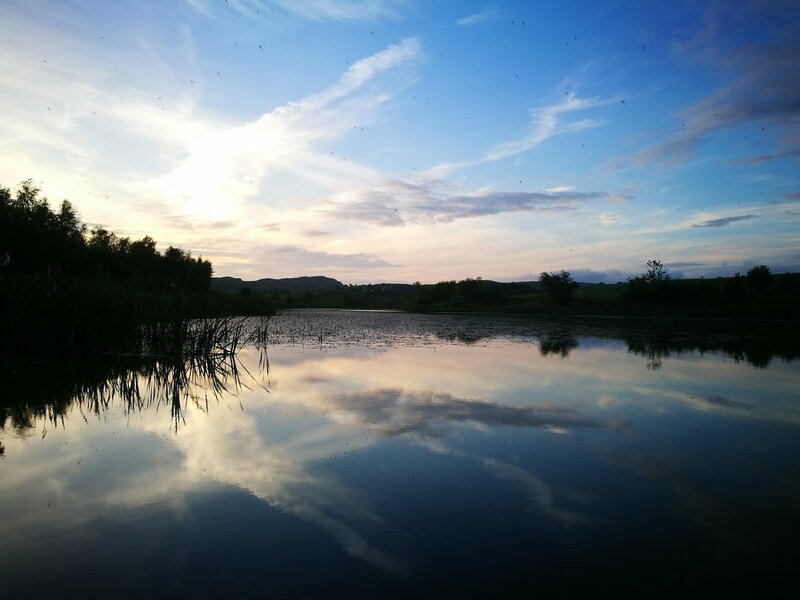 You'll be able to hear owls hooting or sometimes foxes calling in woods nearby, some have been lucky enough to hear the berr of a Nightjar or the russle and grunts of a hedgehog moving through the site. The cool air will help you sleep and you will wake up feeling refreshed, more together and ready for a day of adventures, hearty meals, lake swims and grass between your toes. 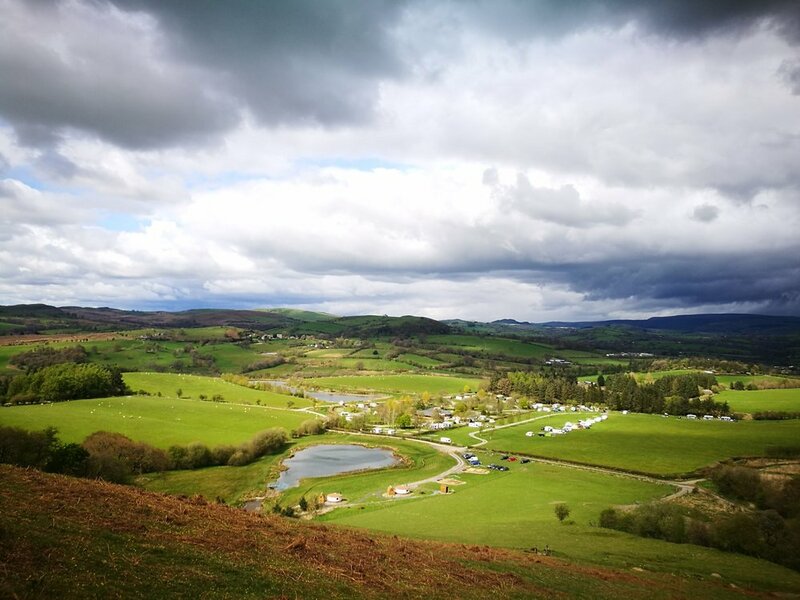 If you don't think this is for you then there are plenty of other fantastic campsites both nearby and further afield that may be perfect! We want you to have a great holiday, in all honesty we may not be the campsite for you. Find out more about Silent Nights at Fforest Fields. These can all be used by everyone staying at Fforest Fields - including those in the cottage which is slighly further from the campsite. We also have delicious, mostly fair trade and organic camp cooking essentials such as tinned tomatoes, marshmallows, soups, sugar, milk, butter and some sweet treats as well as our own honey from the farm. We stock local sausages, eggs and famous thick cut bacon from our local butcher. During busy times we also have fresh bread. We have a mix of all weather, hardstanding and grass pitches on the campsite. If you know which one your favourite is then you can let us know when booking, although we can never guarentee this. We encourage you to choose your own pitch when you arrive, we find it's easier to find the right spot when youv'e got your feet on the ground here. We will help you of course! Yes, we do take group bookings. Over busy weekends, such as bank holidays we ask that one of the group (preferably the group leader) has stayed at Fforest Fields before, but please get in touch to find out more. We take a group bond, which is returned to the group leader at the end of your stay if you have respected our ethos. Please keep in mind that our Silent Nights policy is particularly important for groups. How far are the lakes from the campsite? They are just one hedge and an amble away from the campsite and one is right in front of the yurts. Bliss. We welcome dogs to the hills of mid Wales. We usually ask that you bring no more than two, but it does depend on the time of year. Please get in touch if you want to bring more that two dogs. We ask that dogs are kept on their leads on the campsite, but you are welcome to let them off the leash on the farm. Please do be aware that we have livestock in fields and to be mindful of your dog's behaviour around them. Most of the trails on the farm are farm tracks or walking paths and there shouldn't be any livestock on them - but we do sometimes get escapees so please keep your dog under control. Find out more about walking in mid Wales or our farm and woodlands. What is there to do locally? Take a look at our Mid Wales Guide to find out more about what there is to do locally. No and that is a choice we have made :) We find most children simply enjoy running about, looking in the ponds for tadpoles, cycling, swimming in the lake, climbing trees and making new friends. 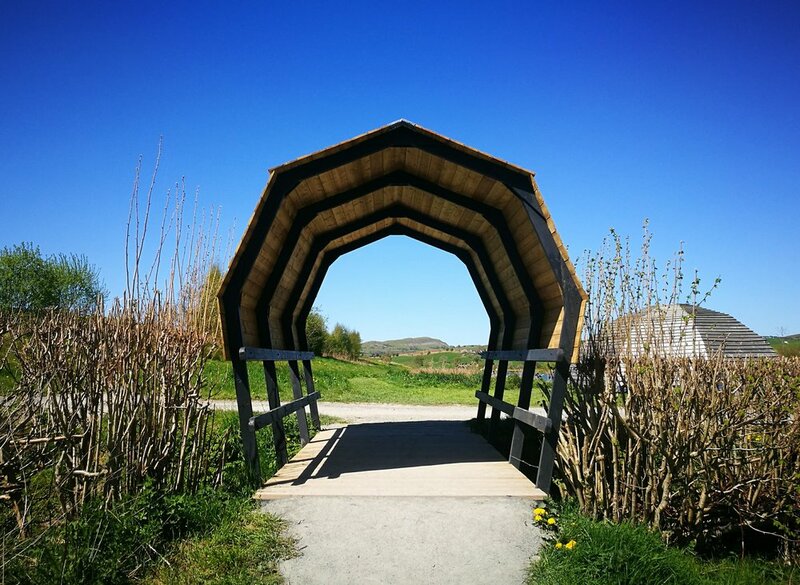 There is a fantastic children's play area beside the Lake in Llandrindod Wells and there is little one, with slides and swings at the Groe in Builth Wells. For more information look at our list of things to do with children in mid Wales. What are the different seasons like at Fforest Fields? Winter - quiet, bleak and beautiful. The weather can be temprimental with sometimes heavy rain, winds and snow. Spring - blooming, rural and bursting with life. In spring we welcome back migratory birds and the campsite seems to burst into life. It can still be cold at night so bring extra socks. Summer - lively, full of adventures and a blend of relaxing and doing. During the summer holidays we welcome people from all over the UK and beyond to this patch of grass in the Welsh hills. 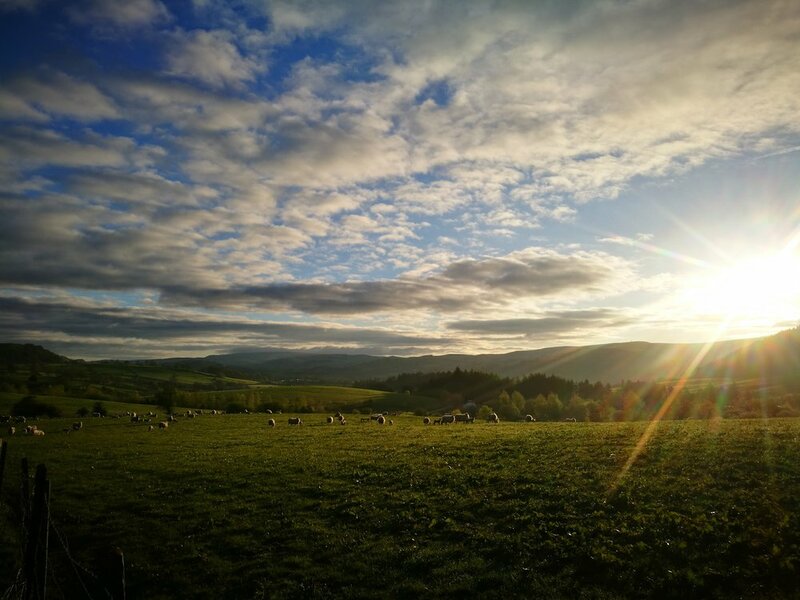 While the campsite is often a hive of activity during the day, you can escape onto the farm and feel a million miles away within seconds. Summer visitors love leaping into the lake, and enjoying a cool beer in the evening from our cafe. We work hard to ensure that everyone respects our ethos during the summer holidays, including our Silent Nights policiy and the quiet that decends across the site after 11pm is magical. Autumn - fresh, colourful and peaceful. The numbers of visitors on site drops from early October. The trees start to change colour and berries are gobbled up by birds with the cooler weather appearing from late October as we prepare ourselves for winter. Do you ever get busy? We believe that one of the most important things we offer here is space to breathe. Out of choice we never fill our site to bursting and even keep our numbers down over traditionally busy weekends, so that our visitors can enjoy this landscape without feeling cramped. During the height of the summer we can have most of our pitches booked up, but we take care when pitching. If you love camping without many people around then Spring or Autumn may be better for you, although we never feel like the site is too crowded. Yes, and we don't charge. Please let us know if you'd like to put up a pup tent on your pitch.